Iwobi, capped at U-16, U-17 and U-18 level by England, was invited to train with Nigeriaâ€™s U-23 national team in 2015, before he was promoted to the Super Eagles, making his debut against Democratic Republic of Congo. â€˜â€™For Alex at his age playing with people like Mikel Obi, (Elderson) Echiejile and (Ogenyi) Onazi itâ€™s is unbelievable,â€™â€™ Iwobiâ€™s dad said. â€˜â€™I look at it and I say what a joy, what a privilege playing with these guys who are well known throughout the continent and for Alex to be part of that structure and being there on merit. 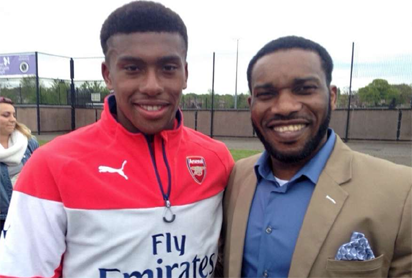 The post Okocha didnâ€™t put Iwobi in Eagle, says Dad appeared first on Vanguard News.